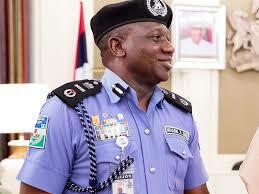 The Inspector-General of Police, Mr. Ibrahim Idris, has responded to accusations that he has had affairs with two junior female officers who also got questionable promotions as a result by saying there is no law in Nigeria that prevents him from marrying a serving female police officer. You recall the lawmaker representing Bauchi Central Senatorial District, Senator Isa Misau, accused Mr. Ibrahim Idris of sleeping with 2 serving police officers and allegedly impregnated one. Idris stated his reply in a written defence he presented through his lawyer, Dr. Alex Iziyon (SAN), to the Senate ad-hoc committee investigating the allegations against him by the senator. On the allegation that Idris was having affairs with two female officers who also got questionable promotions as a result, Idris specifically asked Senator Misau to cite a section of the law that prevents him from having romantic relationship with a policewoman. 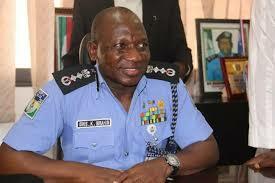 The police boss recalled that Misau’s father married the lawmaker’s mother while in service. “This allegation is laughable and showed lack of understanding of the provisions of the Police Act and regulation. “Until he brings such section of the Police Act (that forbids a police officer from marrying another police officer), it will amount to discussing the Inspector-General of Police’s private life, which ordinarily should not have been entertained on the floor of the Senate. “The senator also alleged that the Inspector-General of Police is in a relationship with one Corp0ral Amina whom he claimed was promoted from the rank of Corp0ral to an Assistant Superintendent of Police within 12 months. The IG, who earlier declined the committee’s invitation due to pending court cases over the matter, appeared before the Senate panel on Wednesday, accompanied by Iziyon; and the Special Assistant to the President on National Assembly Matters (Senate), Senator Ita Enang.